Easter Sunday is just days away and this is a fun way to start off your day before heading out to Easter Mass or your Easter egg hunt. I actually saw this idea on a commercial yesterday while watching TV. I can't even remember what the commercial was for, but they showed a child and his grandparents looking happily at a plate of bunny pancakes. 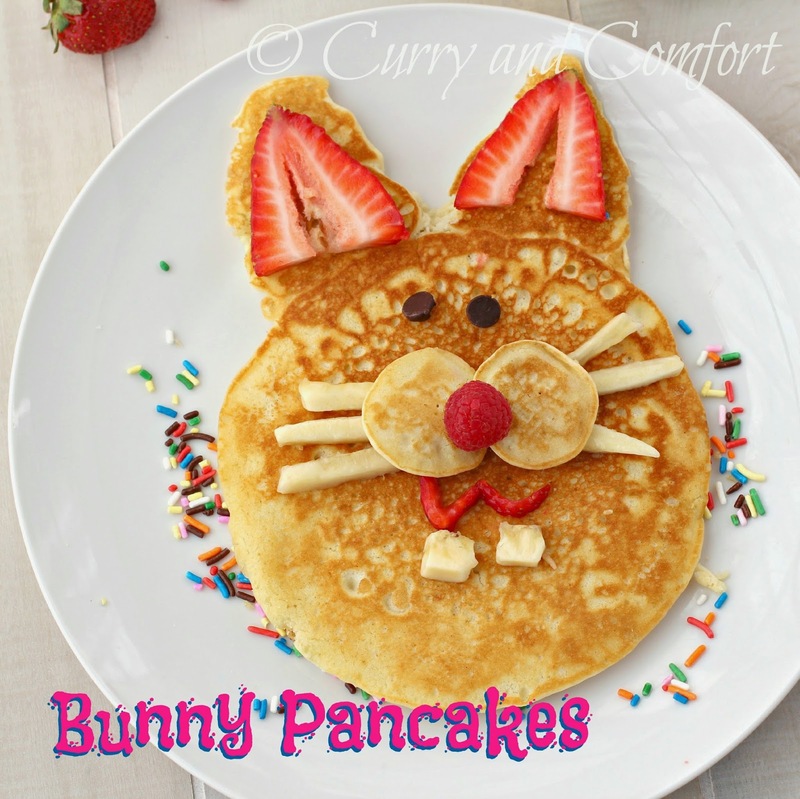 That quick glimpse made me want to make some bunny pancakes for my own kids. I literally made these with the fruits and ingredients I had at home so it was quick and easy this morning. 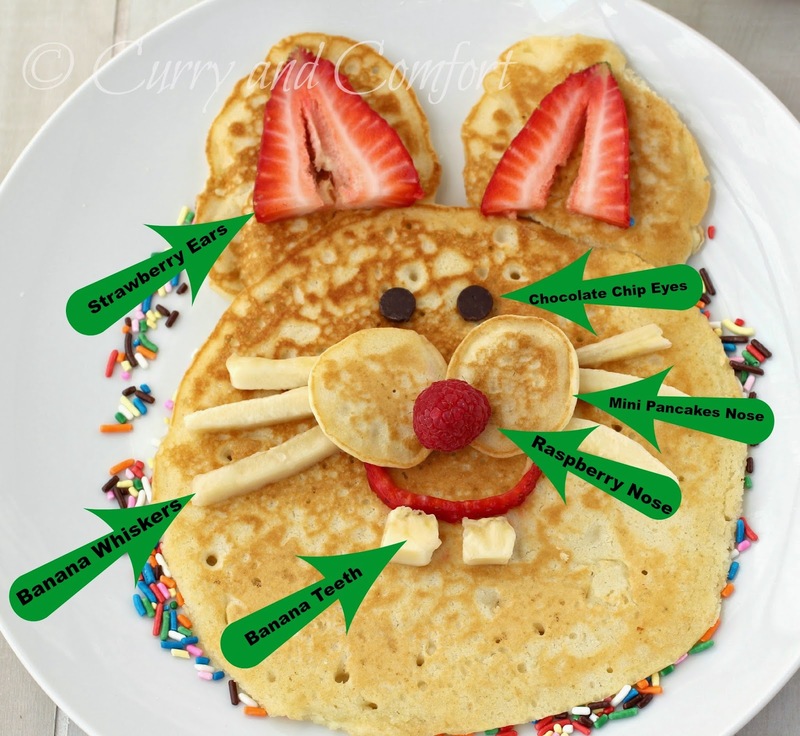 I am certainly not a pancake artist, but the kids and I had so much fun coming up with a way to make the bunny face. 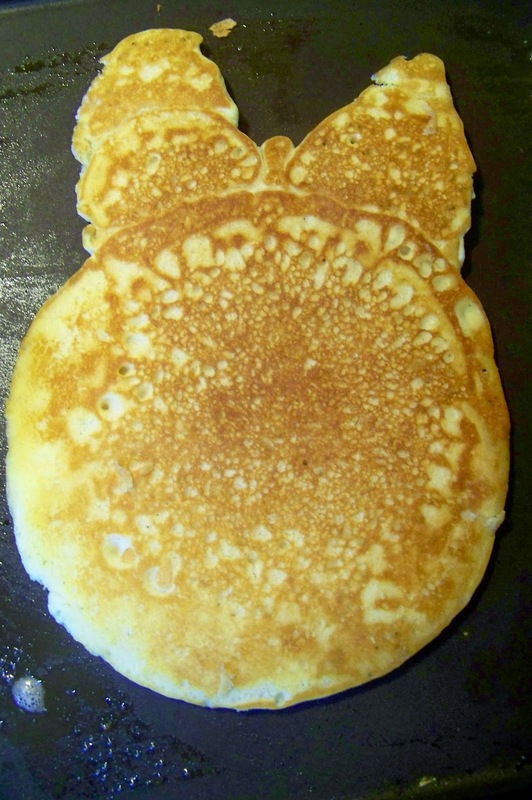 The more I look at the pancakes the face looks like a cat...not a bunny. LOL! But hey.. just make your ears a little longer and you will have more of a bunny than I did. 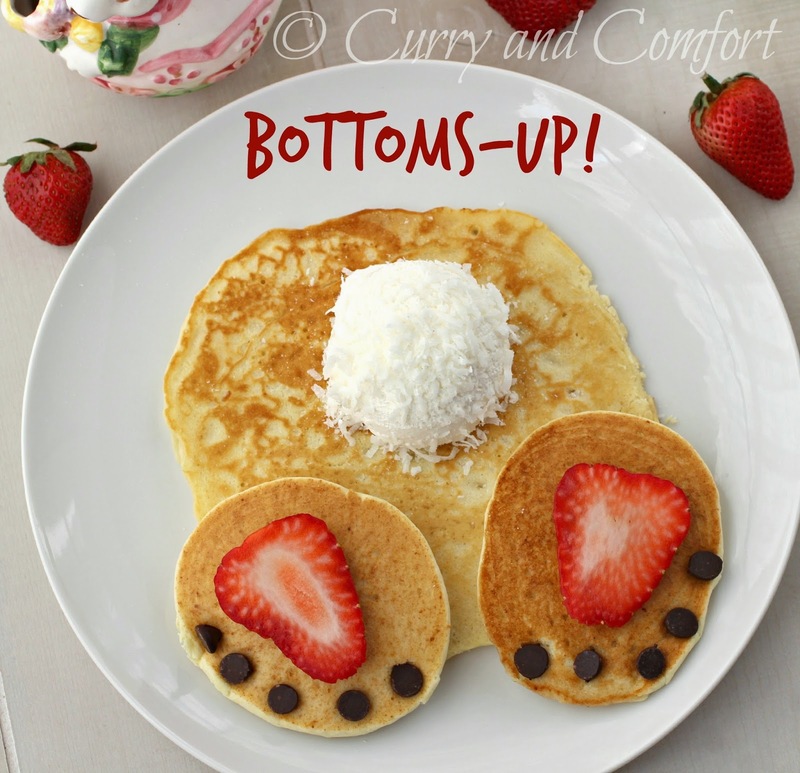 Now, the bunny bottom is based on some quick internet searches I did while trying to figure out this whole thing. 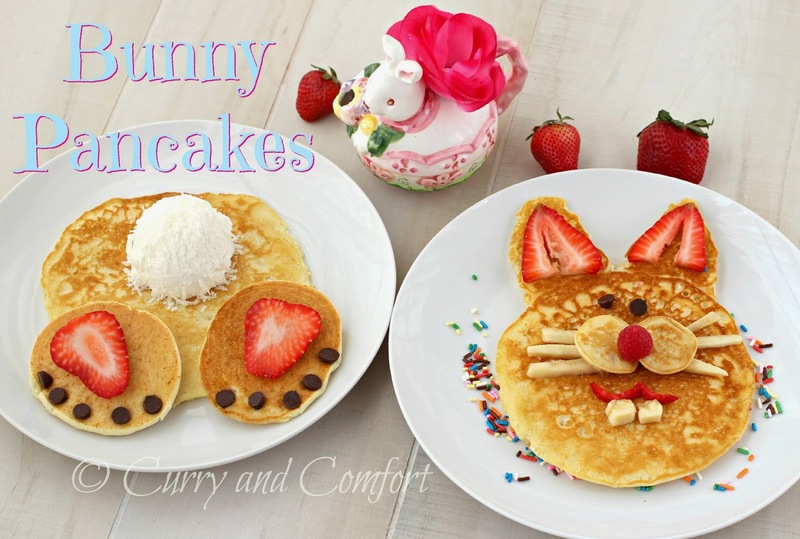 I saw several photos of pancakes showing what looks like a bunny bending into the ground with it's hind paws and tail sticking out. 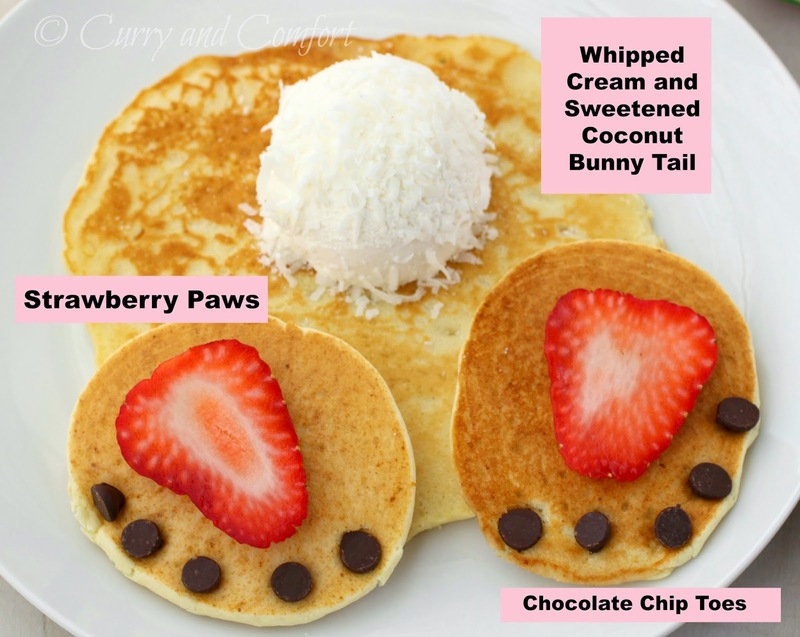 So, I thought the idea of a whipped cream tail and cute paws looked too cute not to try out. 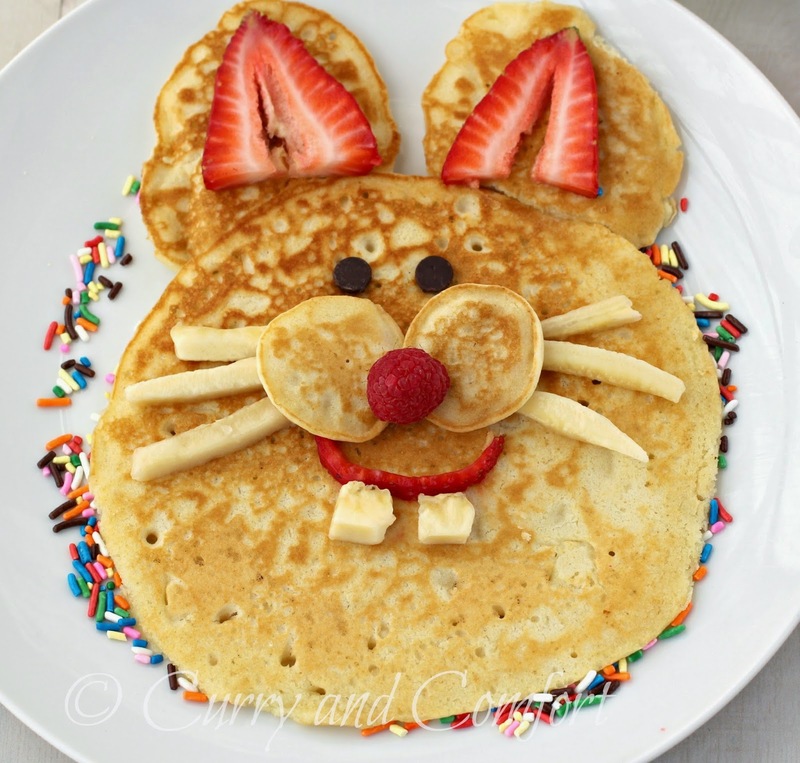 The kids LOVED these pancakes, to say the least, and we had a ball making them. 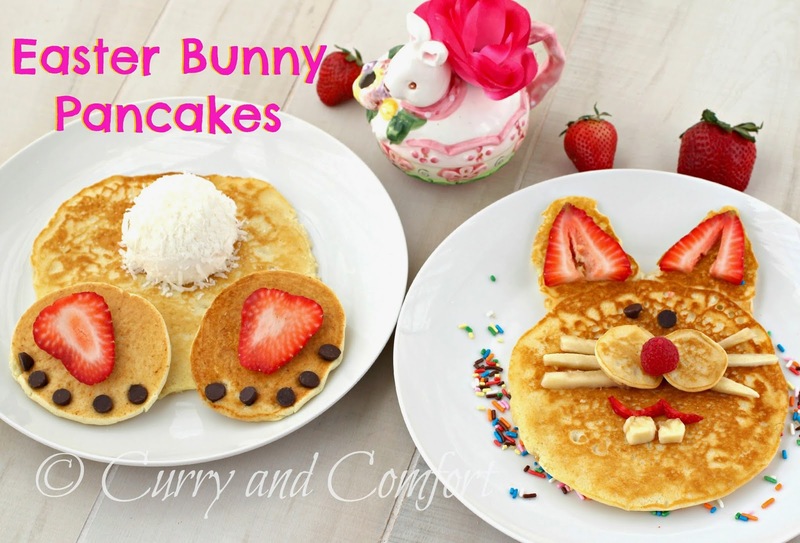 I hope they give you some ideas to make your Easter extra cute and fun. 3. 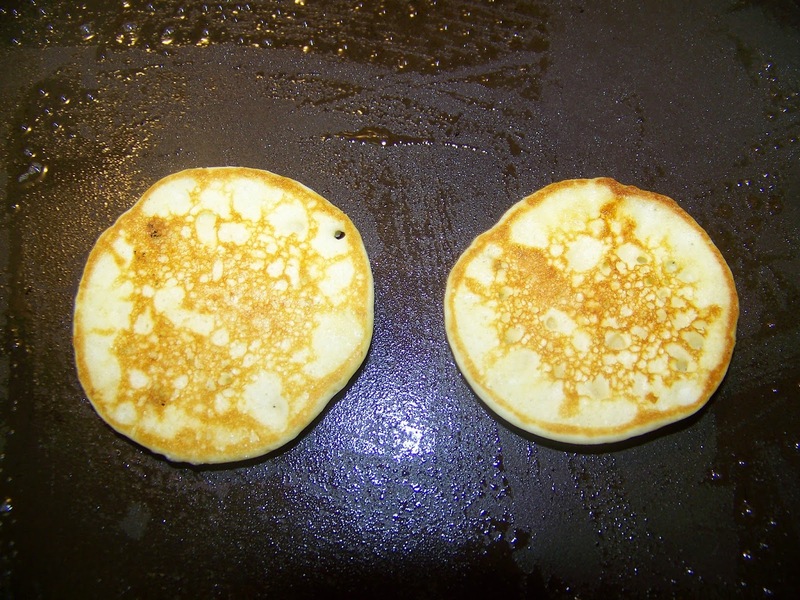 Use a 1/4 cup measuring cup to make a round circle for the face and bottom. 4. 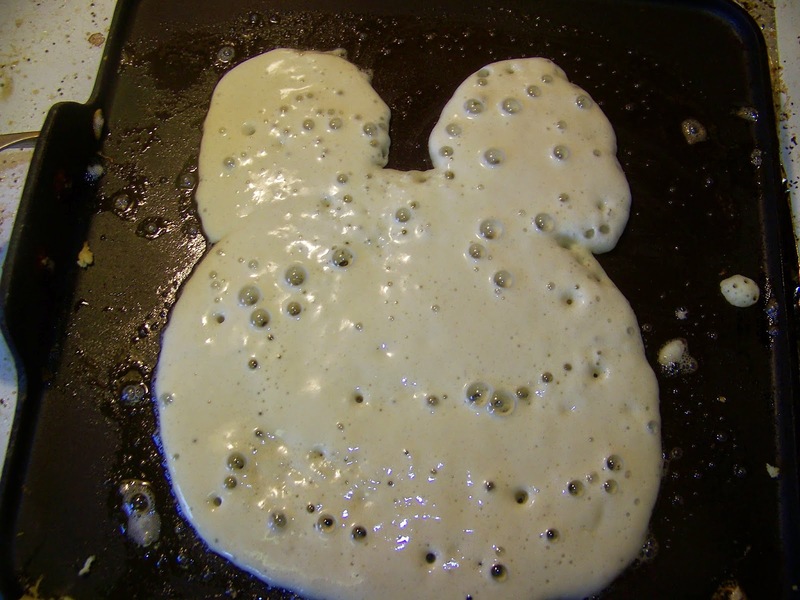 Use a small spoonful of batter to make the ears. 5. To make the paws and bunny nose make small and medium circles. I made the nose the size of quarters and the paws the size of lemons. Then decorate. These are so sweet. The perfect way to start Easter morning.